Show your customers you mean business with a clean, neat and welcoming office or storefront. A customer’s first impression of your business is crucial, as it can be the deciding factor as to whether or not they do business with you and recommend your services to their friends and family. 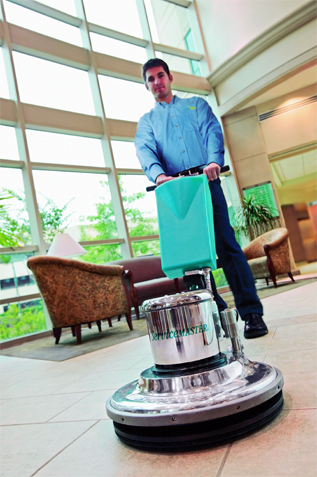 If your floors are dirty, your guest furniture is stained, there’s graffiti on your building’s exterior or there are any other unsightly attributes about your business, customers will likely equate the level of care you put into your business’s appearance with the quality of service you provide, which can ultimately send them running out the door and into your competitor’s store. 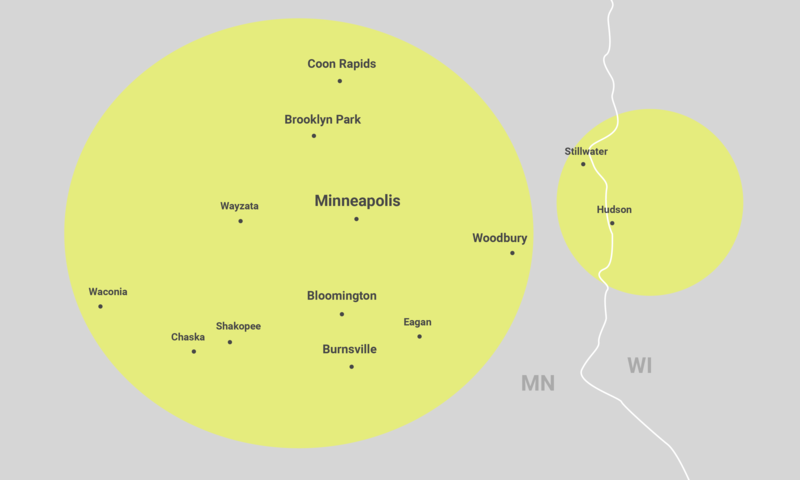 That’s where ServiceMaster of Minneapolis comes in. 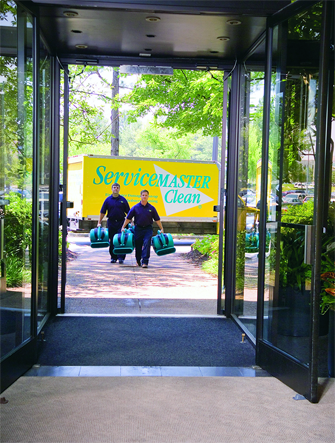 Our commercial cleaning technicians undergo a stringent screening and hiring process, and have the extensive experience – not to mention state-of-the-art equipment – you can trust to ensure your business is in tip-top shape and ready to make a great, lasting first impression on your prospective customers and/or guests. 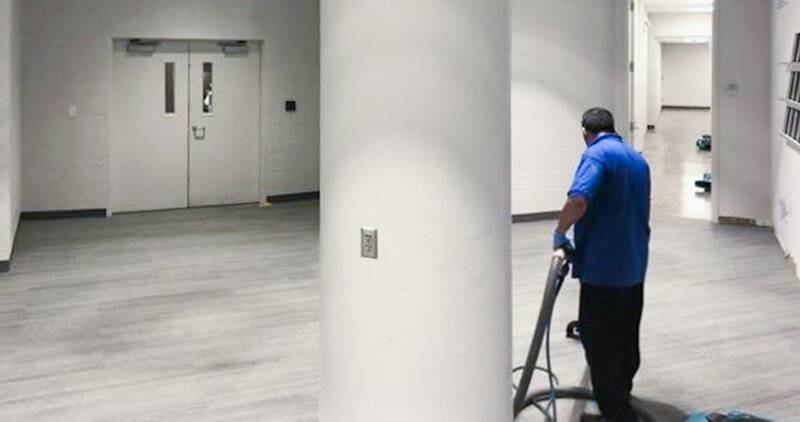 If it’s about time to clean your business’s floors, turn to the Minneapolis area’s most trusted commercial floor cleaning experts at your local ServiceMaster. 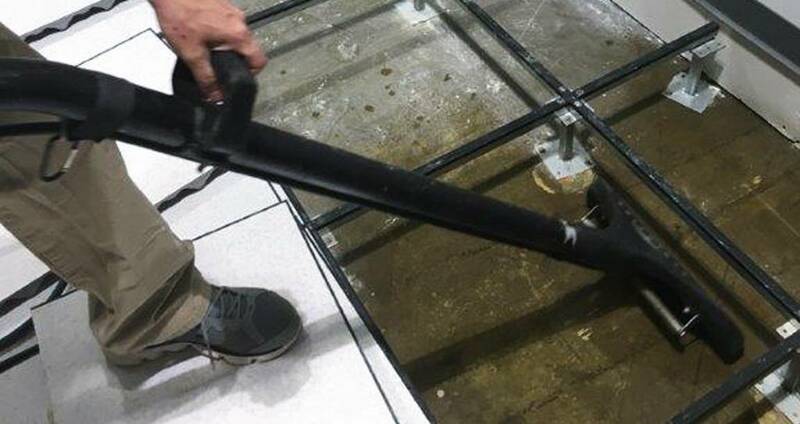 Our courteous professionals utilize the latest, most advanced commercial floor cleaning methods and equipment and are steadfast in their commitment to making every square inch of flooring in your office or showroom look as good as it did when first installed. Whether you’re a small mom-and-pop shop or a massive warehouse, we’ll tackle any and all of your flooring needs with tremendous ease. We understand just how important it is for you to make a statement to all prospective customers that quality is your number one concern, which is why we take as much time as necessary to guarantee no edge or corner goes unnoticed. 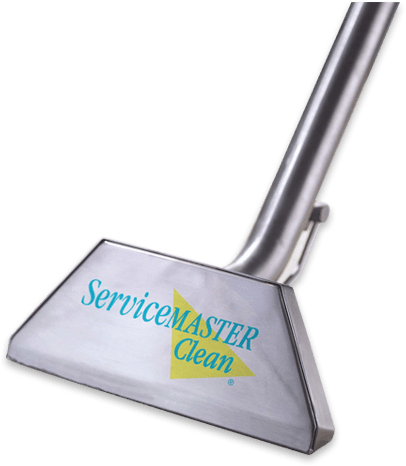 When you’re ready to put the best, most thorough and professional team to work on your business’s floor cleaning needs, call ServiceMaster at (612) 354-5466 today! Even if your waiting room or customer furniture doesn’t look dirty, chances are it’s riddled with filth, because soil, dirt, skin, dust and various other unpleasant things accumulate on furniture much quicker than you’d expect. ServiceMaster’s upholstery cleaning experts will thoroughly vacuum, treat any spots, deep clean by hand and polish any and all framing, leaving you with furniture that looks, smells and feels as good as new. 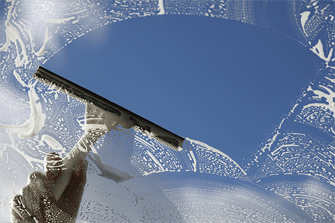 Clean windows don’t just express to your customers that you care about the cleanliness of your business, they also express a sense of transparency, as they suggest you want your customers to see the true nature of your business with 100% clarity. 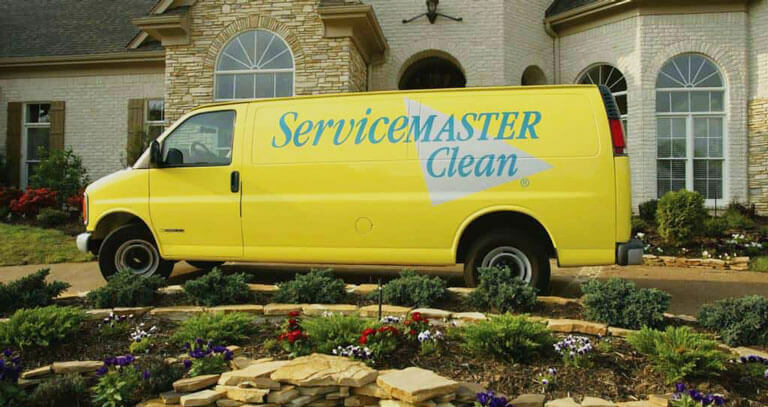 At ServiceMaster, we utilize de-ionized water throughout our entire exterior window cleaning process, which guarantees your windows will be 100% spot and streak-free. In addition, we utilize a mixture of de-ionized water and a mild detergent to clean your interior windows, including wiping clean all window sills. Companies often focus so much of their time and cleaning budget making sure the physical attributes of their office or showroom look spick and span that they neglect the importance of ensuring their indoor air quality is up to par as well. 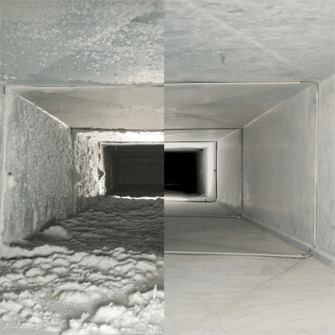 Having every aspect of your HVAC system attended to by our thorough commercial duct cleaning technicians will not only improve the quality of the air you, your employees and your customers breathe day in and day out, it will also ensure your HVAC system runs more efficiently, which means you can look forward to a cleaner business and a lower energy bill each month. If your business has suffered the damaging effects of a fire, ServiceMaster Cleaning and Restoration is there to help. 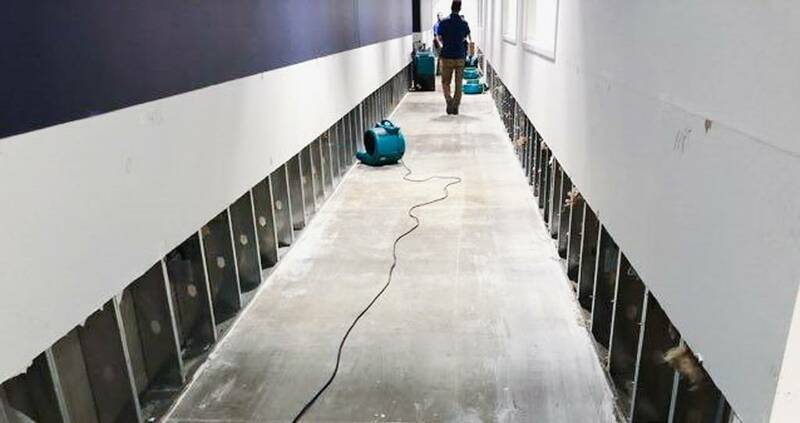 At ServiceMaster, we understand just how difficult it is to recover from a natural or human-inflicted disaster, as it not only means you have to spend money to repair the damages, it likely means you and your employees will face unexpected downtime, which means lost profits. Whether the damage done to your business was caused by a fire, flood, collapsed roof, graffiti or anything else, we’ll be there to clean up the mess and help restore your property to its pre-damaged condition as quickly and thoroughly as possible, so you and your employees’ livelihood isn’t affected a moment longer than necessary.